Straddle a high performance motorcycle and go as fast as you can in KAWASAKI SUPERBIKE CHALLENGE. When you are ready to race, you can compete in 15 different races including the eight-hour endurance race at Suzuka. As each race progresses, you will have to deal with changing weather conditions and tire wear that will affect how your bike handles. You will feel like you are in the middle of the race thanks to advanced graphics and sound. 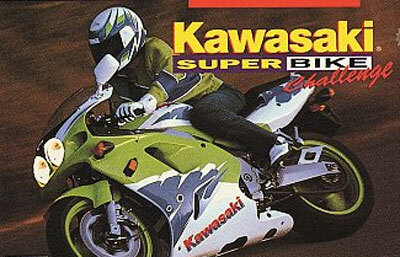 Take the KAWASAKI SUPERBIKE CHALLENGE, and you just might become a champion.